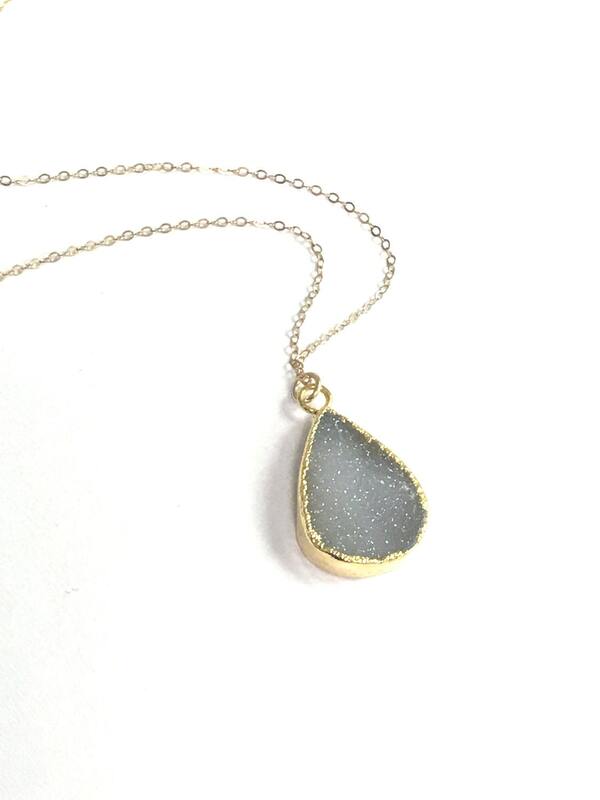 Gorgeous sparkling druzy pendant graces a 14kt gold filled necklace. Perfect for everyday or that special occasion. 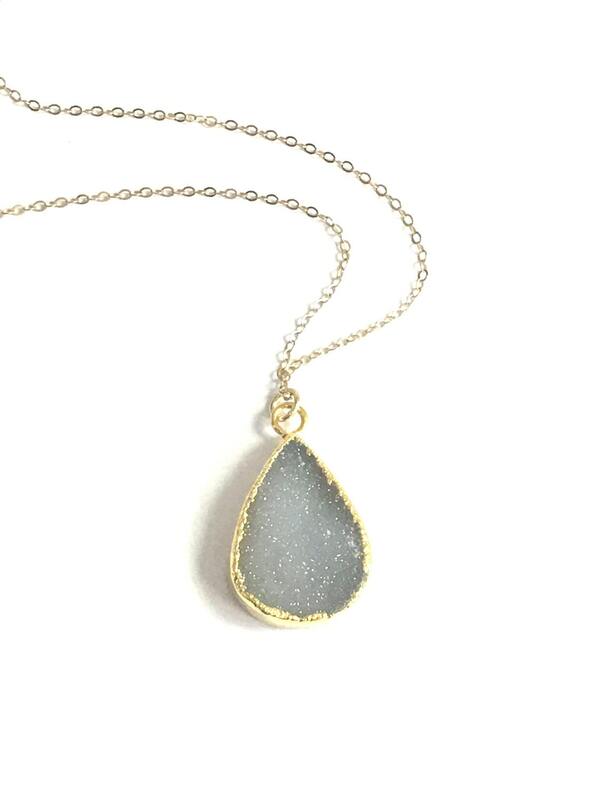 -White to Gray Druzy Pendant - These range from a gray to white color, approx. 40mm with 18kt gold edging. These are natural crystals that are perfectly imperfect. 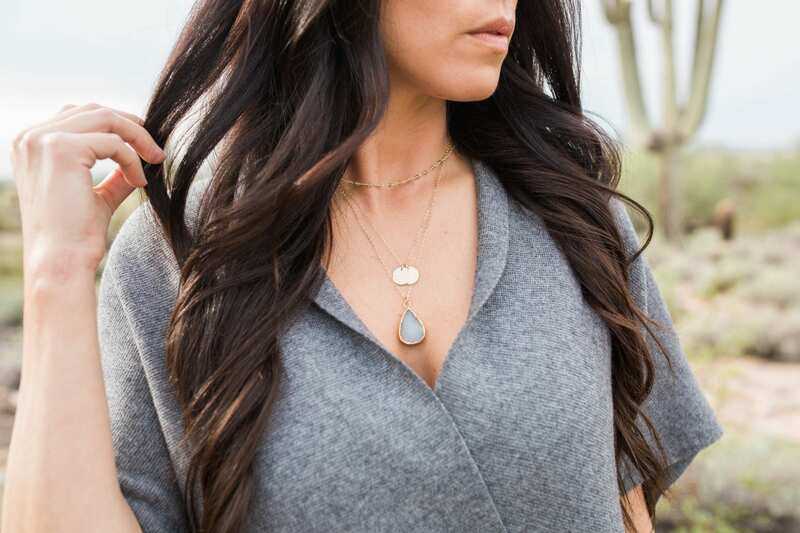 - Each pendant is different and varies slightly from the photo- these are natural crystals that are perfectly imperfect. -High quality 14kt gold filled shimmering link necklace [not plated]. - Model is wearing 20" in Photos. -Available in 18, 20, 24, or 30 inches in length. Two 12mm discs at 18"
Very pretty necklace and well made. The druzy is much whiter in person then how it looked on line but still very nice. 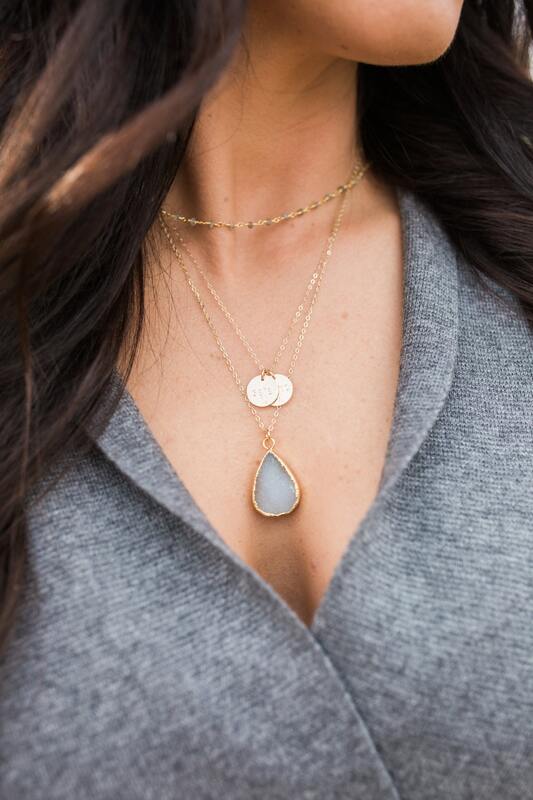 I loved this crystal necklace! Beautiful necklace... I love it!